If you’re looking for a private student loan to pay for college, you may also need a cosigner. A cosigner is someone who agrees to take equal responsibility for your student loan. That means if you don’t make your payments on time, your cosigner will need to cover your debt. As a high school student, you may not have an established credit history, so you may need to add a cosigner to your private student loan. 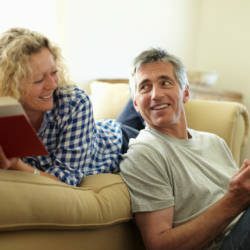 A cosigner can increase your chances of getting approved and could get you a better rate. It is common for students to use a parent as their cosigner, but that is not always an option. 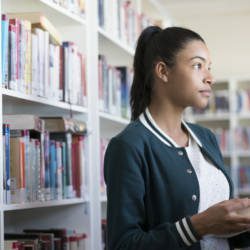 For example, if the parent isn’t a US citizen or permanent resident, if they don’t have an adequate credit history or if they are otherwise unqualified or unwilling to cosign, students may feel unsure of who to ask. “Not a lot of families know that a student can take out a loan that is cosigned by someone other than a parent,” says Blaine Blontz, founder of Financial Aid Coach. Here’s how to find a non-parent cosigner for your student loans. Start with the people you know best. While Blontz recognizes that every situation is different, he recommends turning to immediate family if that’s an option for you. “It can be awkward to ask those outside the immediate family for this assistance,” he points out, and he’s right. This is a big request. Your cosigner is financially responsible for your student loans. If, for whatever reason, you can’t pay back your student loans, creditors will look to your cosigner for repayment. That’s why you want to be very careful about who you ask to take on this responsibility. 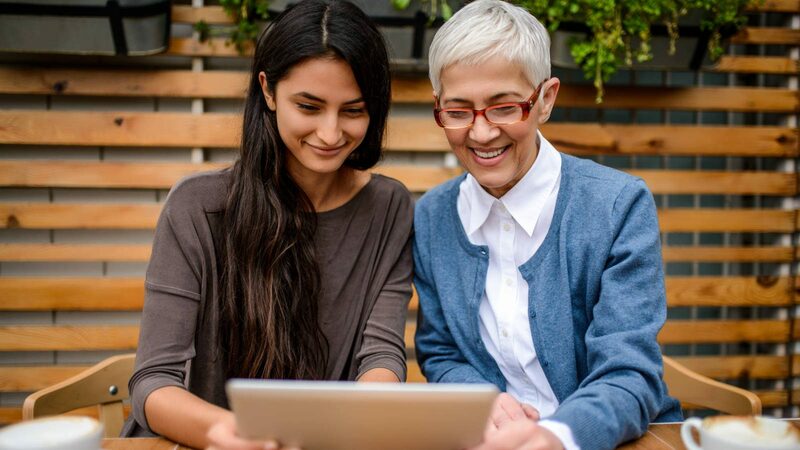 “In my experience, it’s most commonly a grandparent who wants to help, but it’s important for families to remember that the cosigner doesn’t have to be a family member,” says Blontz. Discuss with your family the right person to ask before reaching out. It could be a grandparent, other relative or even a close family friend or mentor who’s invested in your success. Admittedly, it’s uncomfortable to ask people about their credit history, but you should know where it stands before using them as a cosigner. If your potential cosigner is hesitant to commit because a credit check could negatively impact their credit score, look for a lender who offers a prequalification option. Through prequalification, a person can check to see if they would be approved without a hard credit inquiry or commitment. Once you know if they are a potential cosigner, you can then decide if you both want to move forward with the agreement. If you’re worried about finding a cosigner, it can be tempting to consider using a person who is willing to cosign even if you don’t know them very well. Beware of seemingly legit online services that claim to match you with a cosigner in exchange for a fee or even a portion of the loan amount. Some students have also turned to Craigslist to look for one, offering cash in return for the help. Arrangements like these are risky. You could end up getting scammed out of your money and left without a cosigner. Given the length of the commitment — which can be 10 to 15 years — casual contacts don’t make ideal candidates either. Since a cosigner should be someone who is willing to be liable for your debt if you need assistance down the road, you should consider people who will be in your life long term. If you explore your inner circle and aren’t able to secure a cosigner, you still have options. Reach out to your college’s financial aid office and be transparent about your situation. They may be able to offer solutions like additional financial aid or a payment plan that’s feasible with your resources. You should also continue to look for scholarships since that is free money that doesn’t have to be paid back. Asking a family member or close friend to cosign your student loan can seem uncomfortable or even intimidating, but it could be what helps you get a private student loan to cover any remaining college expenses. Be transparent about what you need and set expectations for how you will repay the loan. You may also want to discuss what happens if you have trouble paying and they have to step in to help. Taking the time to talk through these scenarios and agree on terms can be reassuring to both parties so you understand the commitment.